​Images are crucial for a blog post. It defines the blog topic more perfectly. Apart from that, you can get a lot of traffic from the image-based search engines like Google, Yahoo, Bing, etc. if you properly optimize your blog images. I was not so aware of image optimization. When I start to optimize my blog image, I start to get traffic from Google images. Even my blog loading time improves with it, as a result of it, its visibility has been increased in the search engine. And you know blog loading time really matters to search engine. 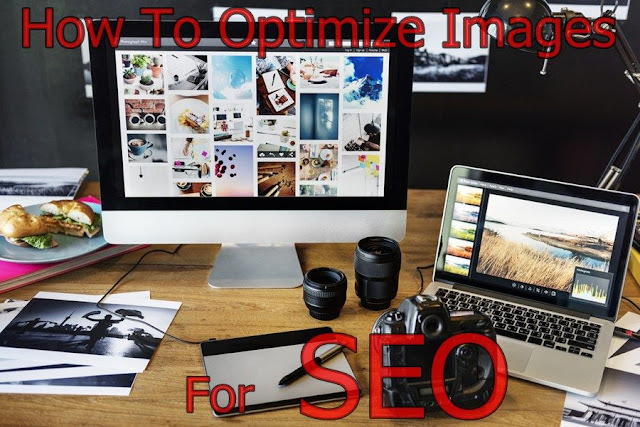 So if you want to improve your blog's overall SEO, then you must give priority to image optimization. It's nothing like rocket science; just you have to follow some rules. Here are these. Choose the right Image- it's always better if use your own picture in your blog post. Copyright is a big issue. You can use the stock photo on your blog, most of the famous bloggers use this method. You just need a subscription to stock photography sites like iStockphoto, Shutterstock, Fotolia or like these. 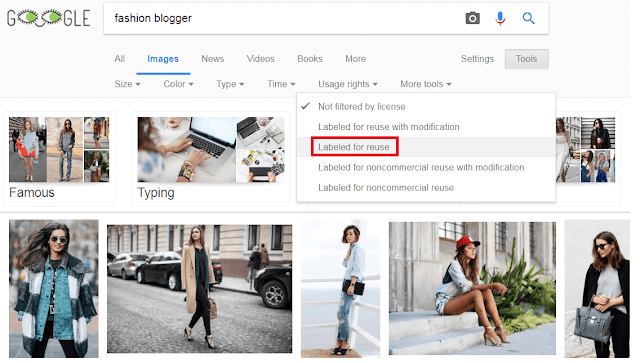 Using stock photo is very important, cause it will give a professional look to your blog, alternatively you don't have any headache on copyright related issue. Use an image that reflects the same subject as your post. It is not that you have to use an image and you put anyone in your post. Be relevant so that the image can draw your visitor's attention. It's not recommended to use Google image, cause the maximum of those images are copyrighted. And you can not reuse that without copyright owner's permission. If you use their photo and get caught, the copyright owner may ask you to remove the image or give him a backlink as credit. It's better to use the non-copyrighted material. For this, you have to Google Image Search --> Usage Rights --> Labelled For Reuse. Do it, and at least you will be safe. If you check any of my blog posts, I always use the screenshot for describing something otherwise I use Shutterstock pictures. 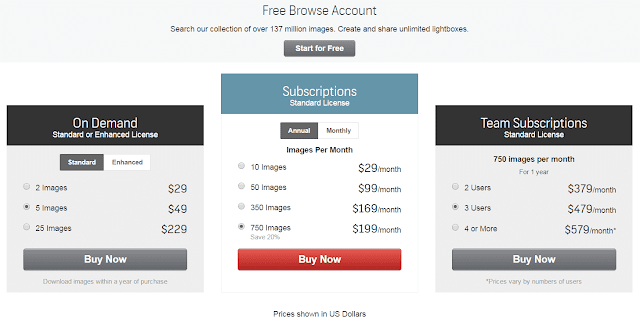 The good thing is that there are many stock photography sites which will provide you royalty free images for free. Here are some of them- Pixabay, Stocksnap, Picjumbo, Unsplash, Stokpic, Negative Space, Freerange etc. They also have a huge collection of stock pictures, and you can get pictures for free of cost. 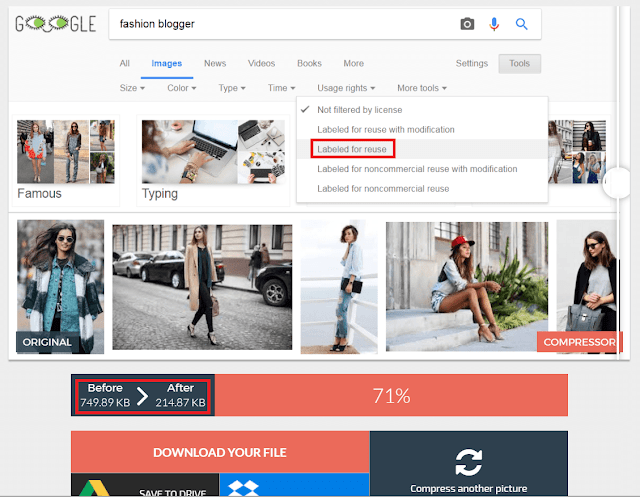 Right file name- we often upload an image in blog post without changing the file name, it's also important for SEO. it is always better to rename it with perfect name, for example- "justin-bieber-purpose-tour-india.jpg" than "IMG_5043.jpg". Even it's easier to you about the subject of the picture, same for Google. Though it has not great impact in SEO, still it's helpful for both human and search engine. The size of the Image- whenever I capture a picture with my DSLR camera, it's dimension is 5184x3456 [Pixel]; the image is 18MP and takes around 6-7MB. So if you use directly this images, just think how long it will take to open. It will take huge time in a 2G connection phone. I said before that page loading speed is a ranking signal, so definitely have to reduce image size. First of all, you have to reduce dimension. make the length "800px", it is enough for a blog post. And the height will be adjusted to the width. It will reduce the file size a lot. Now you have to compress the image file to reduce the size to a minimum. There are several images compression site, I use compressor.io, and it works fine for me. Last but not the least, image responsiveness. Responsiveness is very important now, for the template as well as for image. Nowadays almost all template uses responsive settings, so you don't have to do anything separately. In case, if your image is not responsive, then set your image width to 96%. Other points to be remembered- image alignment. Though I always use center alignment, cause it's the easiest for reading from all device. One more thing is image caption. Giving proper caption to an image helps to define the topic. The problem is that, whenever I try to use a caption, it creates a boundary around the image. One day I have to check the template and have to fix it. Well, no more today. If you have any doubt or question, feel free to contact me here. Just do drop a comment below. If you really really like this post, then please do share it with your friends via social networks like Google Plus, Twitter, Facebook, LinkedIn, StumbleUpon etc. if you want to get all the latest updates of this blog, you can like my Facebook page, follow on Twitter or subscribe my blog feed. Take care. Have a nice day.